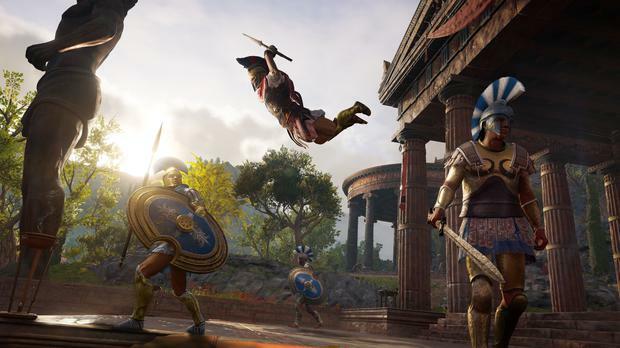 Everybody wants something from you in Odyssey, the umpteenth in the AC series that edges ever further from its origins as an assassin simulator. Reminiscent of another great RPG, The Witcher 3, this instalment (set in Spartan-era Greece) melds a sprawling storyline with myriad side-quests from ordinary folk who "need something done". The main quests form a complicated, multilayered arc involving war, parenthood, naval skirmishes and much more) but some of the most interesting (and paradoxically also the dullest) stories lie in the vignettes you stumble on by accident. The inevitable result, as always in an Ubisoft open-world game like this, is a surfeit of busy-work, a map overcrowded with tasks, not all of which prove compelling. Alas, many must be completed anyway to level up your character enough to face the next challenge in the narrative. Yet amid this pot-luck problem, Odyssey feels the most rounded AC version in years. From the charisma of the two main characters to the revised combat mechanics to the RPG-lite levelling system, this Grecian adventure freshens a sagging formula. Such a vast world filled with near-endless challenges frequently comes off as overwhelming. But the craft with which it is put together renders it moreish, instilling a constant desire to see one more beautiful vista, slay one more tough enemy or complete one more little quest. Ignore the headline-baiting involvement of Elijah Wood - he doesn't appear but his production company created this absorbing though flawed psycho-thriller. The low-fi visuals and gritty live footage give off an anti-Hollywood scrappiness as it explores what happens when a mad scientist uploads his mind (and that of his wife and child) to the cloud. It alternates between genuinely spooky atmosphere, sometimes naff acting and simplistic puzzles as you shuffle between alternate realities and computer-corrupted memories. Most of the time, you're just wandering around a suburban house piecing together the mystery. Interactive fiction need not be profound but there's an emptiness in this digital void that Transference tries only fitfully to fill.